Learn how LinkedIn sales solutions can help you generate dream leads on a consistent basis. When salespeople lay their head down at night, they dream about things like qualified, informed leads. You know, dream leads. But what happens when they wake up? 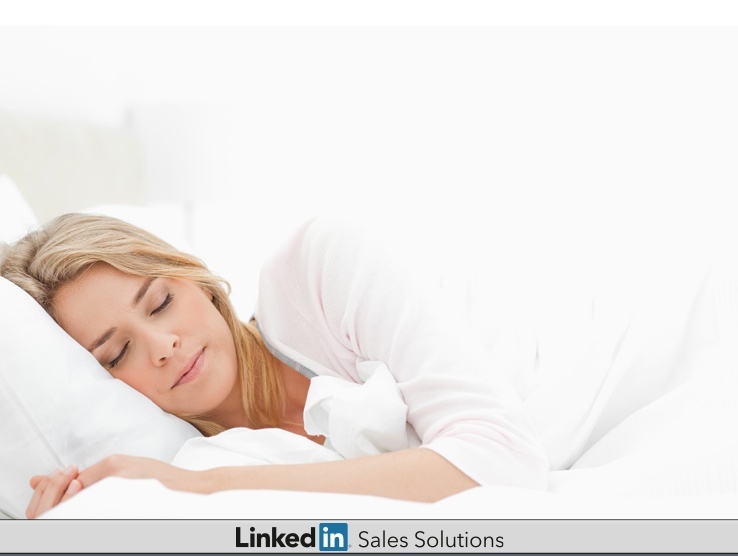 With LinkedIn Sales Navigator, dream leads are a reality. Today, sales professionals are reaping the benefits of filtered searches to help them identify leads that meet their exact specifications, based on criteria they choose. Your initial search may return a sizable data set, so be prepared to refine the list to a manageable size. To be more efficient, try deleting your 1st connections and focus on 2nd connections. Save your filtered searches so you can easily access them later. This detailed background information is invaluable when looking for a common denominator to facilitate a greeting or prep for a call. The added TeamLink subscription allows you to find only the prospects within your search parameters that have existing connections to your team. You can also use the TeamLink tool to establish more contacts within your account (or what’s called multi-threading). This will improve your ability to gain access to the ultimate decision maker. You can view independent networks of every team member from a single, consolidated interface, which is a great way to find even more prospects (or warm pathways to prospects) with ease. The beauty of these filters is they are the new, improved, clean way of prospecting. And again, once you save your searches, you can get fresh leads delivered to your inbox on a regular basis – or tweak your existing searches for a completely new list of dream leads. Learn how LinkedIn Sales Solutions can improve your social business prospecting and help you develop relationships with your key prospects.